I love this yoga mat/towel from Clever Yoga. I love yoga and I am always excited to try out new yoga gear. This yoga mat/towel is one of my new favorite yoga accessories. This is a good sized mat, it’s a terry cloth material that is great for hot yoga! I use mine as a mat and then if I need to I can also use it as a towel. This set does come with an included hand towel as well though that coordinates with the mat! This is really great for those hot yoga sessions! I tend to get pretty sweaty during yoga so I love that this can double as a towel. I love this all in one set. It’s a great size, works really well. I love it! 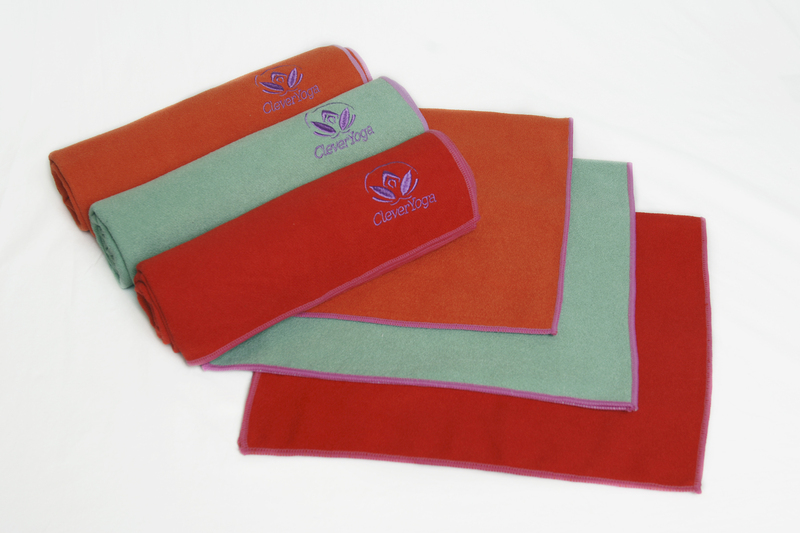 1 FREE 24″x15″ matching hand towel comes with your 1 72″x24″ yoga mat towel purchase. Both yoga towels are perfect for your hot yoga practice, Pilates and any other gym fitness exercises. Premium lightweight 100% microfiber is super absorbent and quick drying, which provides you a skidless surface on your mat so you can hold your poses easily and also protects your mat. To increase the slip resistance, spray water lightly before use or put it on top of your mat while you start to sweat. Our Clever Yoga Towel is more than just another Yoga Towel. In addition to getting the highest quality Yoga Towel available on the market, you also working with a family owned business who are attentive to your needs and here to help answer any questions you have. When you order your Clever Yoga “Yoga Towel” today you’re protected by our “Namaste” Lifetime guarantee – if you’re not 100% satisfied with your Yoga Towel or if it doesn’t hold up for you forever, we’ll replace it free of charge – no questions asked. So order now!